I had hoped I'd be organised enough to write some book posts between Christmas and going to spend time with family over New Year, but with only Christmas Day and Boxing Day off work, I've not managed to organise myself. It doesn't help that I've not been thinking about books at all, but a lot about what this time of year means, and represents, to me. Like many people I find Christmas Day itself challenging, and whilst I used to enjoy the run up to Christmas, the current challenging retail environment makes that a big ask - and it's a shame. I like winter, the cold and the dark don't particularly bother me, but I feel increasingly separated from what I think should be the natural rhythm of the year, and it bothers me. I've mostly spent the last ten days at work listening to people complain. Complain because some item they want is unavailable, complain about how much things cost, complain about how much effort it is to make things*. A small amount of effort is a good thing. As autumn turns into winter I've found Making mince meat, Christmas cakes, Christmas puddings, chutney something to look forward too**. I love the way the kitchen smells when I do these things, the slow pace they demand which lets me listen to the radio, read a bit, potter around, make lists, plan things, and most of all think about the people I'll be sharing this stuff with. That, to me, is the point of Christmas - a time to share, in the dead of winter, when community matters the most. It's not just for December either - it's the light at the end of the tunnel of dark days, so gentle preparations from the point the clocks go back seem sensible to me. The way advent is celebrated in the colder parts of Europe makes perfect sense as well, and surely Christmas itself lasts until 12th night? And yes, if it was up to me there would be far more time off for everyone around now. One of the things I miss most about working at Oddbins is how slack January was as everyone swore off the booze for the first few weeks of the new year. 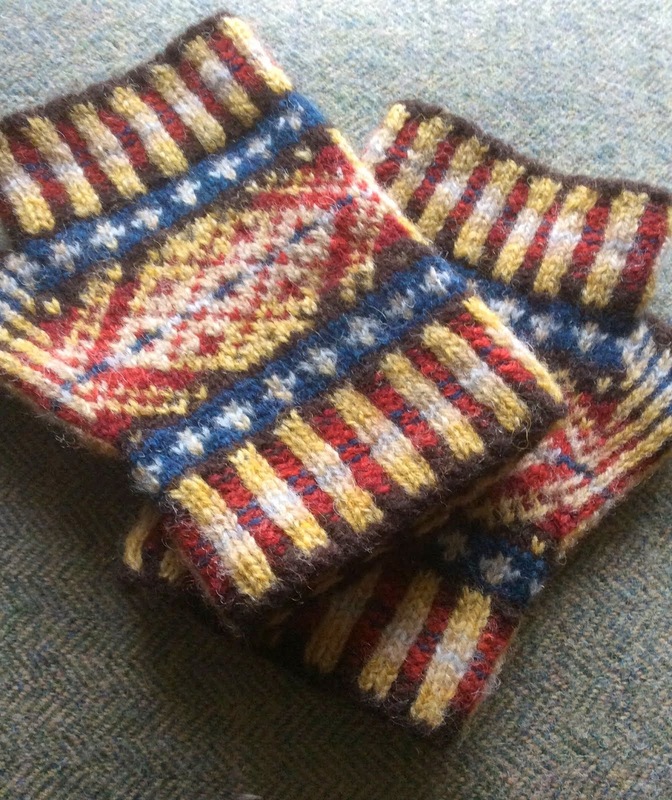 However cold it could be in that shop (it could be very cold, we were meant to leave the doors open) and dull without a constant stream of customers, it meant time to re-charge, to gossip, drink endless cups of tea, skive a little, and tidy up. There's a reason too that this is traditionally a time for ghost stories. The older I get the more Christmas becomes about the people who aren't here anymore. 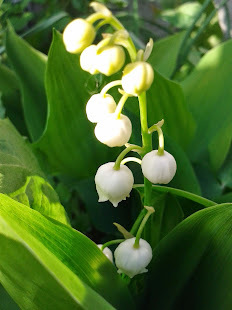 Which in turn stirs up all sorts of things (there are always tears in our house at Christmas because we all pitch up tired and on edge, sometimes it's a good thing, sometimes not). Sharing the sort of ghost stories that replace the genuine fears that lurk in the dark (fear of being cold, hungry, a lack of basic security) with ones you can begin to laugh at suddenly seems like a good idea. Mostly though, and I know I'm middle aged when I say things like this, I miss the sense of general goodwill that I used to find at this time of year, which increasingly seems to have been replaced with a sullen sense of entitlement (retail makes you hate people). I'm not sure why anyone thinks it's okay to berate a shop assistant over an unavailable cake until they cry, but I've seen it done, and more than once. A little genuine goodwill and kindness goes a long way, so too, unfortunately, does ill will. Be nice to people, especially strangers. It's dark, and cold, everyone is dealing with crap, so why make it worse? All of which is why I rather prefer 'Seasons Greetings' to 'Happy Christmas' - it covers so much more. And on that note - I'll be back in the New Year. *Mulled wine, mince pies, and Buck's Fizz are top of this list, none of which require any particular effort. I might add that the threat to go to Marks & Spencer's instead is something I'm more inclined to view as a promise (just go), and seriously, how is opening a bottle of orange juice, or even squeezing an orange (god forbid) more effort than getting in a car, driving to another retailer, finding a parking space, searching for the product in question, and then queuing to pay for it? **I like doing these things, I know not everyone does, and there's no earthly reason why they should. Work is done, I have 2 days off, and I think I'm organised. We'll see. Meanwhile I just want to say happy Christmas, whatever you're doing I hope the next few days leave you feeling content and relaxed. 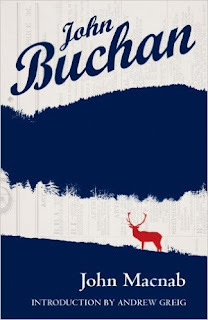 When I was reading the introduction to Buchan's 'John Macnab' there was something about Buchan writing in the tradition of Stevenson rather than Sir Walter Scott. It's not the first time I've seen disparaging comments about Scott and how readable he is, and I'm not having it. I won't deny that he's a man who will happily use 20 words where 2 might have done, sometimes he even makes a joke out of it, and I'll also admit that some of his books are nowhere near as good as others - but the good books are great. 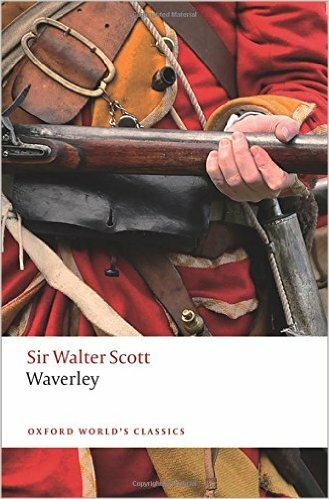 So far my favourite has been 'Waverley' (so good they named a train station after it), which was thoroughly entertaining, still relevant for the sidelight it throws on British history with reference to the 1707 Act of union, and the Jacobite uprisings of 1715 and 1745, and in every way a tremendously influential novel. It's long enough to take a bit of time to read, and Scott's loquacity demands a bit of patience whilst you adjust to his pace, but it's worth the small amount of effort it takes to do that, and holidays provide the reading time to do him justice. After spending yesterday considering the best clarets I've had, or can still afford, today is about the other end - the sort that are often labelled 'Good Ordinary' and come in under £10. Sometimes it's possible to find something that punches well above it's weight in this bracket (in which case buy a couple of cases) but the key thing to consider is that 'Good Ordinary' title. They're not meant to be special wines, but they should be pleasant drinking, smooth, soft, fruity, discreet (no blockbusting new world Cabernet fireworks here) and food friendly. 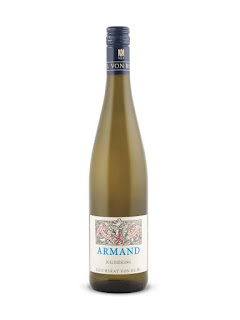 I'm wary of anything to cheap because of the way wine is priced in the U.K. Duty is a flat rate on each bottle, though the percentage of alcohol by volume will effect the amount that is, VAT goes on top of that - so if you buy a £5 bottle of wine at 13% abv, £2.91 of that is going straight to the inland revenue. After that there are bottling, labelling, boxing and transport costs to consider. And you haven't even paid your wine producer or merchant yet. Pay a couple of pounds more and the duty and other fixed costs stay the same (the VAT doesn't, but you can't win them all) so the wine in your glass is likely to be much better, and at least there's the chance the wine maker will be able to make a living out of it (and the wine merchant too, we work hard, we deserve it). Scott, who seems to have liked his wine (he certainly bought a lot of it) would, wars with France allowing, certainly have drunk Claret, and French wine is fitting to celebrate the auld alliance with Scotland (which seems to have worked rather like the special relationship we currently enjoy with America). There's something about these wines - for want of a better description it's maybe best called an old fashioned charm - which really makes me think of Scott too. The important thing is that he's worth having a go at, set aside a few hours, get comfortable, and give him a chance. Just how magical you want this experience to be depends entirely on the wine (which in turn has a lot to do with budget). The book is one I bought myself as a birthday present because who could resist this blurb? 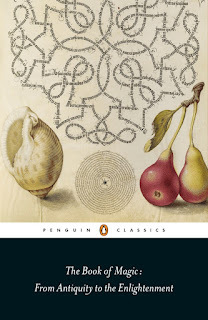 "This rich, fascinating anthology of the western magical tradition stretches from its roots in the wizardry of the Old Testament and the rituals of the ancient world, through writers such as Thomas Aquinas, John Milton, John Dee, and Matthew Hopkins, and up to the tangled, arcane beginnings of the scientific revolution. Arranged historically, with commentary, this book includes incantations, charms, curses, Golems, demons and witches, as well as astrology, divination, and alchemy, with some ancient and medieval works which were once viewed as too dangerous even to open." Obviously I couldn't resist it at all. I see it as a book to dip in and out of, and one that should provide some useful and interesting context when looking at carvings and symbols in medieval churches. It should also fit into a wider interest in folklore, mythology, and fairy tales, though I'm not sure it'll help me answer the age old question of why so many people confessed to witchcraft. I've chosen Claret (the British term for red wines from Bordeaux) for this book because for all the poetic flights a fine Pinot noir sends people off on, there's no wine I personally prefer to a really good Claret. When it's a really good Claret it's also best enjoyed either with a like minded wine friend, or the sort of book which will allow you to concentrate on the wine. 'The Book of Magic' is a scrapbook of interesting odds and ends, and as such is easy to break away from, to appreciate what might be in your glass (or have a nap, or make a cup of tea) at regular intervals. Specifically I see this as a book to go with the best quality claret available to you (or me), and for which I'm thinking in terms of champagne prices. I'm not sure if it was lucky or not that 20 years ago when I was really beginning to find an interest in wine it was possible to buy things like Ch Lynch-Bages at around £25 a bottle (£150 the last time I looked, and way out of my price range), but back then it was claret that I really fell for. It's a love that's lasted. Spend £20 plus and it's still possible to get something interesting, something worth tasting as well as drinking. The tasting process starts with assessing the colour and clarity of the wine in the glass (colour can indicate both grape varieties and the age of the wine, if it doesn't look clear it may have to much sediment in it, or some more troubling fault, and the viscosity of the 'legs' that form round the fire of the glass indicate the alcohol content. Nosing the wine will tell you first of all if it smells clean (if it smells of wet mouldy cardboard for example, its corked, rotten eggs- to much sulphur, something like sherry means it's oxodised, very little smell and it might need time to breath, and if it's good - warm up a little.) If it smells good the next step is to make a note of what it smells like - this is mostly a way of helping you remember and describe the wine. A good claret will have black fruit aromas (blackberry, black current) and something reminiscent of cedar or cigar boxes and who knows what else in the mix. Most of what we taste is determined by what we smell so it's worth having a good sniff. Then taste the wine, swish it around your mouth, see what the tannins are doing, breath in through the mouth and out through the nose to get an indication of how long the finish is, see if those fruit flavours from the nose come through in the mouth. Think about it all for a few minutes, and then enjoy the rest of the glass. Tasting (rather than drinking) is fun, even if you feel a bit self conscious about it at first, it helps you get the most out of the bottle in front of you, turns wine into far more than just a drink, and when you have a decent example of the winemakers art in your hands - well, it can be magical. I've been dipping in and out of these books all year without having read enough of any one of them at any time to feel ready to post about it. That's partly because once I've posted about a book I feel like I'm finished with it, at least for the time being. It disappears onto a shelf, it's space by my bed, chair, or in my bag, taken up by something new. I'm not ready to put these books away yet. 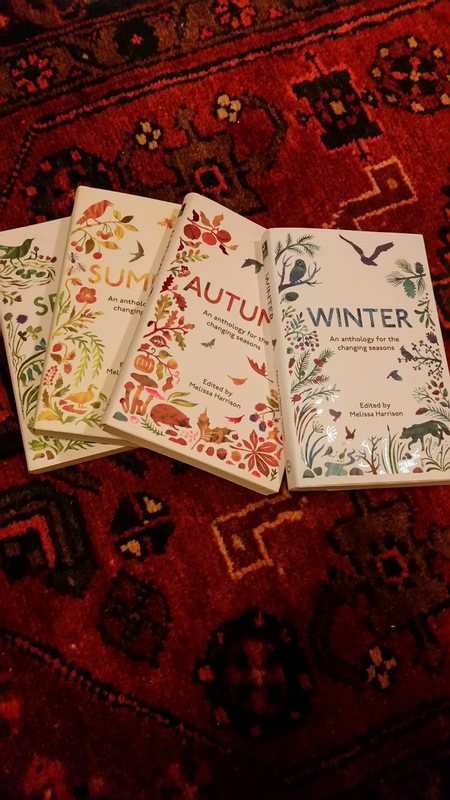 Melissa Harrison has done a fantastic job of drawing together different peices of writing to capture each season (George Orwell writing about toads in 'Spring' was the point where I fell in love with the series). There's old writing and new, things which will probably be already familiar and things which are not, excerpts that remind me I've got, unread, whichever book they originally came from and that it's long past time I read it. There's also an inevitable list of things I want to explore further. They're friendly books to carry around, both comforting and thought provoking, and I thoroughly recommend them. Campbell's Rutherglen Muscat specifically reflects 'Winter', and maybe late autumn, to me. It's another sweet and sticky Australian wine, and those are winter treats. At least this one is easy for me to get my hands on (it's widely available in the U.K.). The lazy way to describe it is as being a bit like a mince pie in wine form. It's a slightly more evocative description than 'raisined' - images of dried fruit don't capture the lushness of the wine, or it's freshness. I've been reading a bit about Australian dessert wines over the last few days (both reminiscing and exploring) and one thing I can't help but notice is how often they still compare themselves to European wines. It's not that there's anything wrong with describing a wine as being reminiscent of Vin Santo (as this one has been) but it doesn't do the muscat justice. It doesn't give any indication of how exciting and imaginative Australian wine making can be either, which is something else I've been remembering over the last few days. The range of wine I currently work with is good, but it's also very safe, so I'd rather forgotten just how much interesting stuff is happening, especially outside of Europe where the rules that protect quality and local identity can also prohibit innovation*. Anyway, Campbell's Rutherglen Muscat is widely available, around £13 for a 35cl bottle, and an excellent introduction to the world of liqueur muscats. It's an excellent alternative to a tawny port or a PX sherry (both of which share the raisin/dried fruit characteristics to some extent). It's very good with a cheese board, more than acceptable with a mince pie, and, yes, like Vin Santo you could happily dunk cantuccini in it (I certainly have). It's also pretty good on its own, and is, in short, just the sort of thing to come home to after a winters walk - or sip appreciatively whilst reading about someone else's winter walk. *A subject for another time maybe. I've just written and deleted a long list of all the things I don't much like about Christmas (non of them being specifically book or booze related). 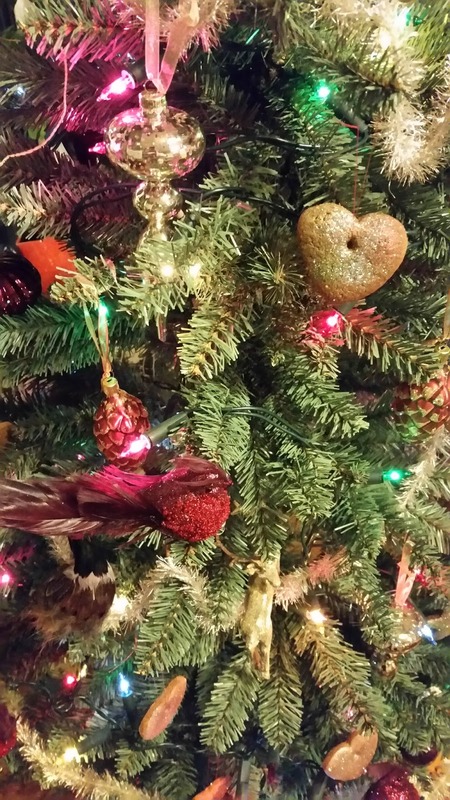 It's a complicated, difficult, time of year full of contridictions, expectations, frayed tempers, and memories. A comment from an Australian reader on the Pinot Noir post took me right back to my early Oddbins days; Australian wine was a big part of the Oddbins story, and for anyone of my vintage d'Arenberg wines specifically where a big part of our wine education. It's a source of general frustration to me that they're no longer widely available on the high street in the UK. This week it's been a very specific source of frustration, I'd pay good money for both a bottle of Footbolt Shiraz, and Nostalgia Tawny. They are available online, but I'm not available to take delivery so I'm doing without. Footbolt was the first wine I bought home as an Oddbins employee, and of all the things I could say about it, it's the fact that I've remembered it that's the most telling. I bought 'The Nostalgia' that first Christmas and fell utterly in love with it, it's essentially an Australian version of an old tawny port, made using what sounds like a Solera system (in the simplest terms small amounts of new wine are blended into older wines to replenish stock, so overall you end up with a mix that will have traces of really old wine in it but also the freshness of younger vintages), and mostly containing Grenache - not found in port, so no direct substitute is available. The result is a nutty, complex, wine with notes of spice, toffee, dried figs, and more. It's fresh, intense, layered, and altogether a very good thing. I do indeed feel nostalgic for it. Vintage crime seems like the perfect accompaniment to this one, not least because the mood in both is deliberately nostalgic. 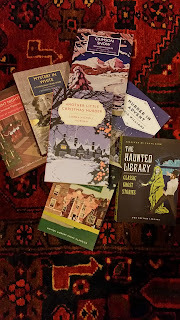 'Another Little Christmas Murder' is one of this years crop of reprints, complete with snow and country houses as well as characters called Dilys and Inigo, I have high hopes for it - though as the pile on the floor shows - I'm spoilt for choice when it comes to this sort of thing - which doesn't at all mean there isn't room for more. Winter is made bearable, pleasurable even, by the opportunities it affords to enjoy small pleasures and luxuries. Reading old fashioned mysteries and drinking wine like this tick those boxes for me. 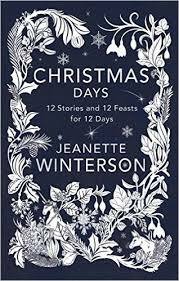 Because so far I've failed to get round to reading Jeanette Winterson, despite good intentions, I put Christmas Days - 12 stories and 12 feasts for 12 days on my wish list. And then because this is such an attractive book I bought it for myself - some things aren't worth leaving to chance. I haven't read any of the stories yet - there hasn't really been time, but I have been working through the feast parts which are turning out to be worth the price of the book alone. I hope I like the stories as much as the collection of food, memories, and thoughts that sandwich them, because at the moment it's that wonderful feeling of having found an extremely agreeable companion - the sort who (in the written word at least) could go on to be a lifelong friend. Not least because so far when I've found mentions of wine we're in perfect accord. Anyway, this is another book that has 'perfect stocking filler' stamped into its DNA, and as I'd quite like to read it over the 12 days of Christmas (maybe that'll work out) there's an excellent chance there will be champagne around to enjoy with it. I spend quite a lot of time telling people to spend more (and drink less) when it comes to wine, but champagne is sort of an exception. It shouldn't be particularly cheap - part of the pleasure of drinking it is in knowing that you're committing a small extravagance when you do so. To me that means spending somewhere between £20 and £30 pounds on a bottle that's probably on offer. There are some excellent supermarket own label champagnes but when there are only a few of you they lack the hint of decadence that years of expensive marketing has imbued the grand marques with. So, for example my mother and I have a tradition, when I go to her on Christmas Eve I take the best bottle of champagne I've got, and we drink it. In the past it's been Dom Perignon, one memorable year it was Pol Roger's Cuvée Winston Churchill, Veuve Clicquot's Grand Dame was another highlight, but those were pre mortgage days. 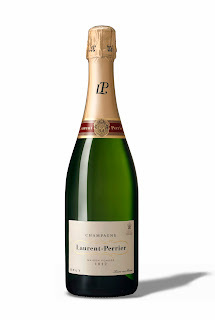 Now it will more likely be Billecart-Salmon, Taittinger, a Laurent Perrier, absolutely anything that Pol Roger put their name on, or Bollinger because they're all really good, all can be found (just) under £30, and all of them represent a proper treat to me. Taking the last glass to bed, knowing all the fuss is over at work for another year, and winding down over a short story, is something to really look forward too. I love champagne, and love seeing what variations on a house theme different vintages bring, but I also really value the consistency that non vintage (NV) expressions have, unless you particularly want to spend the money on vintage there's no need to do so. It's more exclusive, but not necessarily better, or more enjoyable (although it can be). However, if you want a bottle with a date that means something to you, or something that has the potential for medium to long term cellering then vintage is the way to go. If it's for keeping consult a vintage chart before buying for an indication of ageing potential, and only do it if you have somewhere sensible to cellar your wine. There seem to be more half bottles generally available these days which I see as A Very Good Thing. Half bottles make very nice presents (feel free to consider that a hint), they're perfect for 2 people to have when neither wants to drink a lot, or for one person who wants to drink just this side of enough, and fit the bill in terms of feeling mildly extravagant. 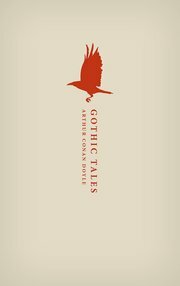 It's sometimes hard to remember that Arthur Conan-Doyle was more than Sherlock Holmes, so this really beautiful edition of his collected gothic tales from Oxford classics is timely (it truly is a handsome thing). Somewhat creepy (I draw the line at outright terrifying) stories are also a Yuletide staple (if it was good enough for Dickens...) though obviously they're also good for the rest of the year too. 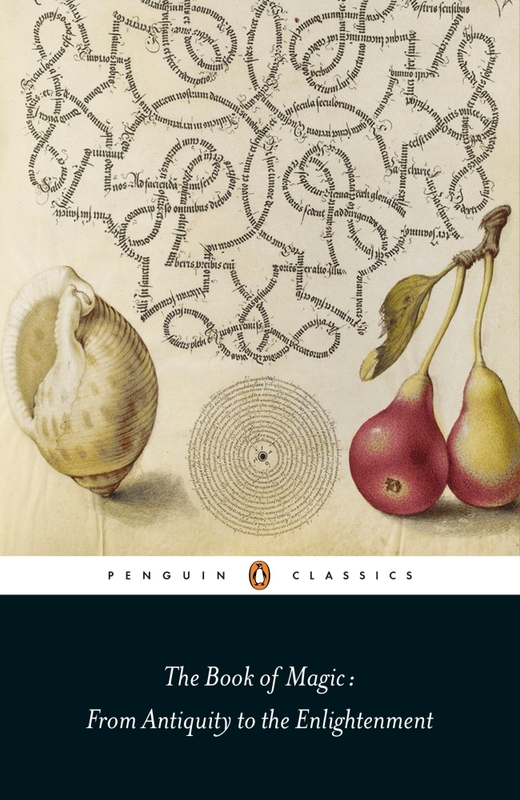 The advantage of reading Victorian writers (or in this case a writer with Victorian roots) in a short story format is that the amount of meandering they can fit in before they get to the point (I'm looking at you, Anthony Trollope) is limited. 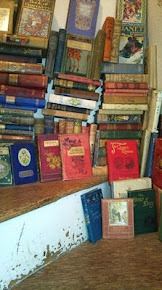 They're gateway literature to a full on addiction to nineteenth century fiction. In the end though port seemed the best way to go. There's something as comfortably traditional and familiar about port at Christmas as there is in catching a repeat of 'The Hound of the Baskervilles' at some point in the festive season. It's got the full bodied (positively bloody) deep colour that I feel a gothic tale begs for, and most importantly people often leave bottles open far to long, so gentle encouragement to drink it whilst it's at it's best is good advice. Port should ideally be drunk within a few weeks of opening, for most of us it's also best drunk in extreme moderation - it's fortified up to 20% abv which is enough, especially on top of a big dinner full of other wines, to give the unwary a really unpleasant hangover. If you've gone easy on it the first night out though there should be plenty left to enjoy a glass with a good book, and maybe a nice bit of cheese, all the way through to new year. Port comes in a number of styles - ruby port is the cheap and cheerful version, mass produced, aged in tanks, not improved by ageing in bottle, and filtered, and at the risk of sounding like a snob, best used for cooking where extra finesse isn't necessary. Special reserves are premium ruby ports. Late Bottled Vintages are ports which have spent longer ageing in barrels (between 4 and 6 years) which gives them more of the character you'd expect from a vintage port, but at rather less of the price. The important thing to check for is if they've been chill filtered or not. Filtered means they don't need decanting, but arguably it strips some of the flavour and character from the port in the process. 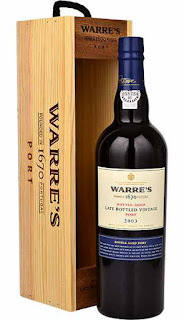 Warre's LBV, accepted as the best LBV on the market isn't filtered, but it does throw quite a lot of sediment. Vintage ports, and single Quinta vintage ports, are aged in barrel or tank for a maximum of 2 1/2 years before being bottled where they will continue to age with grace, potentially for decades. The relativley short time in barrel means they retain colour and freshness, but because the majority of aging happens in the bottle they're going to have sediment, and ideally need decanting. This doesn't have to be a big job - just make sure the bottle's been stood upright and undisturbed for a couple of days before it's wanted so the sediment can settle. Then when you're ready to deal with it gently pour it into a clean decanter (or jug) for as long as it comes out clear. Use something like a clean pair of tights or some muslin to catch any stray sediment before it starts coming out all sludgy. At this point if you don't have a decanter, and don't think it'll all get drunk there and then, wash out the sediment from the bottle (don't use soap) and gently return the wine into the now clean bottle. If that chill filtered LBV sounds pretty good at this point, that's fine. The sediment won't hurt you, but it's bitter and unpleasant to drink. Tawny ports are aged in barrel for a long time, and filtered before bottling, they don't need decanting. I was once told that you have to drink Campari at least 3 times before you develop a taste (tolerance?) for it. I might have made it to 4, I still find it unpleasantly bitter, but we sell a surprising amount if it so I'm not necessarily in the majority on this one. 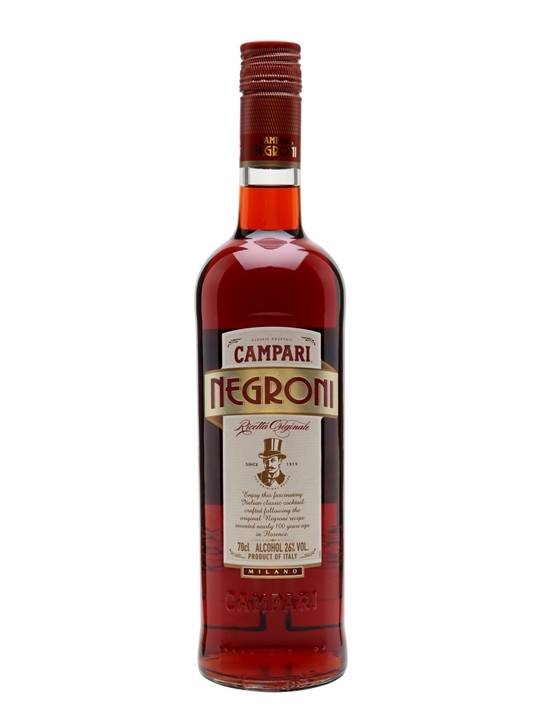 Negroni's seem to be remaining a thing as well, so much so that pre made versions are now available from Waitrose (supermarkets wait a goodish go there timevto be sure something is going to be worth the selling space). It's a simple cocktail, the classic version being equal parts Campari, gin, and sweet red vermouth. If it truly was invented in 1919, or earlier, than the authentic gin to use would probably be a slightly sweeter old Tom style, rather than a London dry. At least one recipe I've seen ups the ratio of gin, and there's plenty of discussion to be had about the brand of vermouth to use. I don't really have the required patience to make anything more complicated than a gin and tonic at home, and figure that a pre mixed bottle of negroni saves on both washing up and recycling, so seems quite acceptable to me. 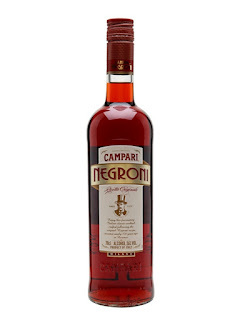 I also find that Christmas is the only time of year that I find negroni's at all appealing - the bitterness makes a good counterpoint to all the rich food going around, it also stops me knocking them back particularly quickly. 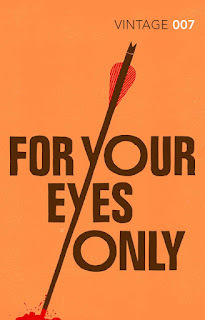 I've been thinking about possible book matches for Negroni's (or Campari) all day with limited success - they speak to me of 1950's and 60's Italy and a dolce vita outlook - which doesn't particularly reflect my reading, but when I started hunting references I came up with Ian Fleming's 'For Your Eyes Only' which seems perfect. The books I ordered myself as a birthday treat were waiting for me when I got home tonight. After a few admiring moments I put them on a shelf to get back to later, and realised they were sitting next to the pile of books I bought myself in The Main Street Trading Company (excellent bookshop in St Boswells, which also has a very good cafe and deli) as a late Christmas present last new year. I've walked past them almost every day over the last year, never putting them away properly because I've always convinced I'd pick one of them up next. Top of the pile was Buchan's 'John Macnab', chosen because I've been meaning to read more Buchan forever, it seemed appropriate for a break in Scotland, and I knew D would probably enjoy it too (he might get the chance to find out this time around). This is exactly the sort of combination of book and whisky that generally makes up his Christmas present. The idea is to choose an excellent whisky, Royal Lochnagar is one of my favourites, and a book that should be full of action, not to serious, and have a particular sort of atmosphere. 'John Macnab', allegedly Buchan's second most famous novel and published in 1925 boasts 3 high flying men (a barrister, a cabinet minister, and a banker) who are bored. To cure their boredom they inform 3 Scottish estates that they will poach from each 2 stags and a Salmon in a given time... It promises to be an evocative look at the hunting, shooting, and fishing lifestyle in the highlands in the 1920's. The introduction promises that it remains a thumping good read, and I love books that have the kind of details about a time, place, and people, that this one promises. Royal Lochnagar sits hard by Balmoral, it got the Royal in its name after Queen Victoria and Prince Albert expressed approval of the local product (I've read that Victoria liked to mix it with her claret). I like the hint of sherry and fruitcake on the nose, and the rich palate which carries through on the fruitcake promise with extra toffee and cereal notes. It's not an especially heavy whisky, a certain peatiness is hinted at, and altogether it's an excellent all rounder - just the thing to enjoy by a fire after a walk in the winter cold, and ideally with a slice of Christmas cake also to hand. With a book like this I hope it would be just enough to add to the general atmosphere, and make the dialect more intelligible. Slàinte mhath. I've spent the evening writing Christmas cards - which means I've left it a bit late (though not to late). It's one of those jobs I find a hit of a chore to do, but I so love getting Christmas cards that it's a custom I'm determined to keep up. It's a task that's been made worse tonight by a desperate desire to bury myself in a book (also because I've lost everybody's addresses again - I'm buying myself a proper address book next time I'm in town, that's a genuine New Years resolution). The book is Naomi Novik's 'Uprooted', bought because the marketing ploy in Waterstones (they had it by the till) cleverly worked. I'm interested in anything that plays with folklore and fairy tales and so far this one is everything I could hope for. Just the sort of absorbing, not to heavy, inventive kind of fairy story that I would wish for at any time, but seems especially perfect in winter (yet more excellent stocking filler potential here). The drink to go with it is the equally pleasing Edinburgh Christmas gin which includes frankincense and myrrh amongst its botanicals. Apparently frankincense is meant to be good for combating stress and anxiety. I have no idea how true this is, but just looking at the bottle cheers me up, never mind drinking it. There's something of the wizards workshop about relativley small scale distilling, especially gin with all the botanicals involved, and as gin flavouring becomes more experimental so my enthusiasm for it increases. I've mentioned before that I'm not always lucky when I choose something because it sounds exotic, but this one works. The key is subtlety, in this case it's a hint of something resinous followed by nutmeg which is enough to make it stand out, but not enough to overwhelm the essential gin character. It's a remarkably pretty bottle too, with a 1920's feel about it that's suitably glamorous for a festive occasion. It's the kind of detailing that I like, and again, find hard to resist. Now the cards are written I don't have to! 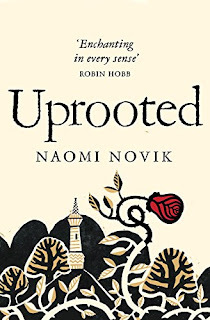 'Arboreal' is one of those books that felt special the moment I picked it up, never mind waiting until I started to read it. The cover is beautiful, it's pleasant to handle, the type is pleasing, as is the blend of essays, poetry, and photography. 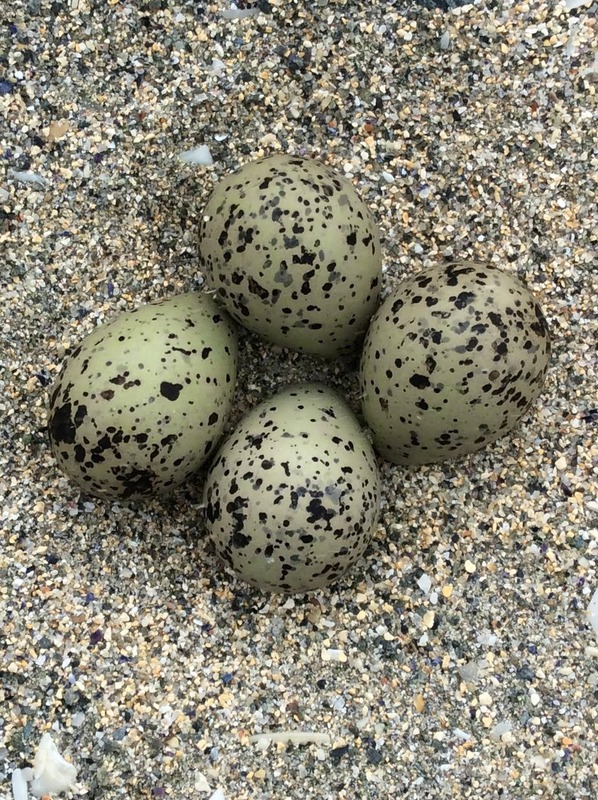 That royalties from sales are being donated to Common Ground which will help enable educational projects to celebrate, and connect people with, nature (aims I wholeheartedly support). Most exciting though, is the sheer range of writing to be found here. It gathers together a variety of voices (I'm shamelessly paraphrasing from the blurb, I'll be writing a lot more about this book in the new year when I have time and energy to try and do it some justice) including those of teachers, novelists, poets, ecologists, foresters, artists, and more to explore why woods still matter and mean so much. Each contributor takes a different place as a starting point, the end result is something huge, with an embarrassment of riches when it comes to ideas. It's a spectacular book. A book that deserves something a bit special, and which, in it's own way reflects back something of the forest. When you start to learn about wine you quickly find yourself looking at illustrations of the wine making year, having the seasonal and seasonal and weather dependent nature of the process drilled into you. Each vintage will be different, a reflection of the year that has produced it as well as the landscape. It's part of what makes it all so exciting. Something else you learn quiet early is how excited people get by Pinot noir. It's a difficult grape to grow, thin skinned, prone to disease, and responsible for some of the greatest, as well as most expensive, wines in the world. It's the grape most likely to inspire devotees to go into poetic flights, and inspire winemakers across the globe to keep on trying until they get it right. When they do get it right words like bewitching and seductive get thrown about, and with good reason. A good, mature, Pinot noir will smell of forest floors, maybe with a gamey note, And will taste reminiscent of cherries and raspberries. Wine made from the fruit of old vines will have a discernibly silky texture in the mouth, The tannins will be velvety - and you begin to see what I mean about the way it gets people carried away. Unfortunately there is a lot of bad Pinot Noir around too, so this is the wine more than any other that I'd say throw some money at. It's the grape that made Burgundy famous, and where entry level wines are around £10 (in the U.K). For the same price you'll get something better from New Zealand or Chile. Ideally spend much more though. I know (oh how I know) that many people often struggle with the idea of spending £20 or £30 on a bottle of wine to drink at home. That the same people wouldn't think twice about spending that much on a bottle of something really ordinary in a restaurant, or more on not very many drinks in a bar frankly baffles me, but never mind. I really wish that fine wine had a more democratic image. Expense is relative, the basics of wine tasting are simple enough to get to grips with, and a good wine blossoms under a little critical attention. I'm not saying that every sip should be an intellectual exercise, but when you have something good it's worth making the effort. It's also worth making the effort to get something good. 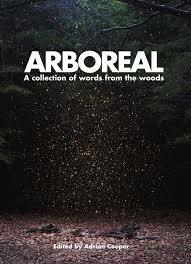 Arboreal is available Here amongst other places. I always try and get a weeks holiday as early in January as I can, this is partly because after a retail Christmas I really need the time to recover and calm down, but also because I love the long dark nights and often crappy weather. At least I do if I have somewhere warm and comfortable to be, with a good supply of tea in the day, and something else to consider in the evening. That there will be books goes without saying. It's become traditional to head to the Scottish Borders for family time at New Year, and another part of that tradition has been to take a hefty Victorian novel with me in the hope I'll find time to read it. Sometimes this works, sometimes not, Trollope's 'The Prime Minister' has made the trip a couple of times but remains stubbornly unread. This year I'm taking 'New Grub Street' for a change. It's yet another tradition to stick a couple of suitably chunky Victorian novels on my Christmas wish list (in case it's not been clear from the amount of times I've mentioned Christmas, all the books I've chosen for this series are ones I think would make excellent gifts for like minded readers) and my (lovely) mother has always obliged by choosing one (or two). 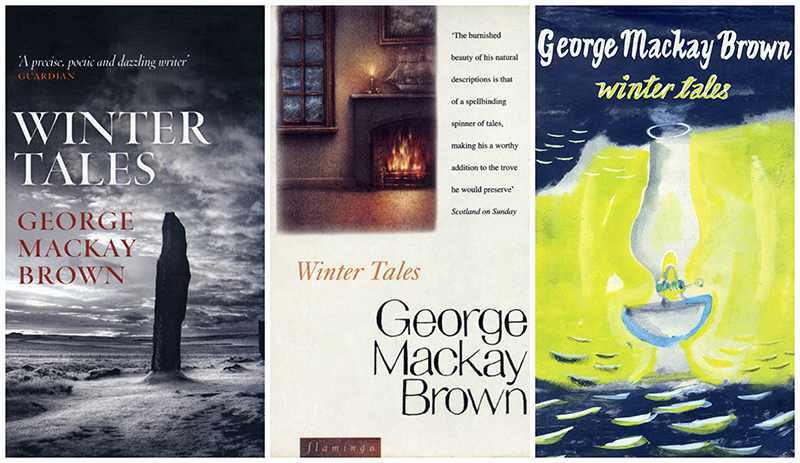 The pace of lazy winter days is perfect for getting lost in these books. I've been meaning to make some Mulled sloe gin (in the name of research) for at least the last month in the hope that it would be this years counterpart to last years hot gin, honey, and lemon (an excellent idea on a cold night if you don't have anywhere particular to be). It hasn't disappointed. I've seen a few recipes along the same lines - apple juice, sloe gin, cinnamon sticks, cloves, star anise, all gently warmed together, so that's what I did. The apple juice and sugar already in the gin provide more than enough sweetness so there's no need for more sugar. Unlike Mulled wine it's easy to make by the glass, the ratio of apple juice to gin is best determined by personal preference, but it's entirely feasible to make a barely alcoholic version (in which case a slice of lemon might help balance the sweetness of the apple juice. I see no reason why it wouldn't work with orange or grape juice depending on what's around either. 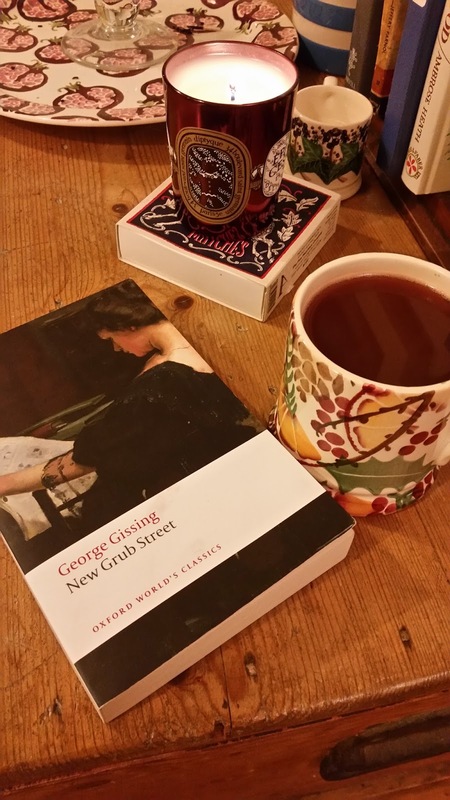 Mulled anything feels appropriately Victorian, in this case I think the sweetness of the apple juice might be a comforting balance for Gissing's cynicism as well! As my youth was pre-internet, and maybe st definatley pre spell check or predictive text it was basically a given that every house would have a dictionary (and a phone directory, a yellow pages, and a bible even if no other books). We had pocket dictionarys for school, and I went off to university with something rather like a brick. I coveted my mother's Shorter Oxford English Dictionary which came in two sturdy volumes (which seemed mildly amusing and made me wonder what the full length version must look like). Now I have a smartphone and feel something has been lost. I think it's the sense of what an enormous amount of words there are (in every language) that looking at that two volume monster gave me. It also managed to convey something of the scale of the job of collecting them, and more intriguing- what words make it in, which are cut out, who decides these things - thevquestions go on. 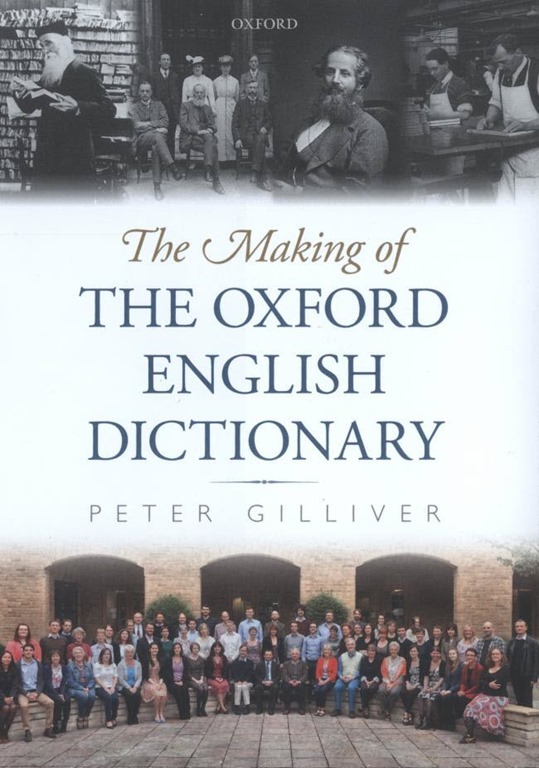 Peter Gilliver's 'The Making of The Oxford English Dictionary' covers its century and a half history from conception to realisation. 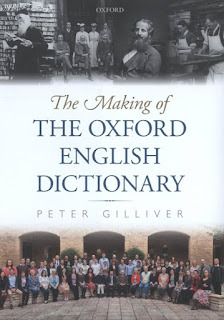 In the process it reveals some of the human stories behind the OED as well. It's a substantial tome in its own right, one which I've been slowly working my way through for a while now, and one of the things I like most about it is how many people have been interested (and frankly covetous) when they've seen it. I haven't checked to see if it's on many recommended lists for present buying, but it's on mine. Given the lack of reviews on Amazon I'm guessing it might have slipped under the radar a bit, but if you're reading thit s the chances are that you, like me, will know at least a couple of people who find this sort of stuff really exciting. This Link to a review on Vulpes Libris gives more details. There is only one wine I can think of that can match a project like this and it's Madeira. I wrote about it last year Here so will try and be brief. It's amazing stuff, the way it's made means it keeps indefinitely even after the bottle is opened (nothing else does this in quite the same way, not even spirits). 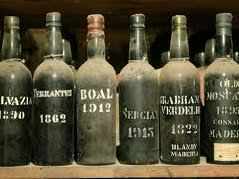 The older the Madeira, and it's possible to get some very old examples, the more complex and fascinating it becomes. If you like the stuff getting your hands on a really old bottle is a luxury worth paying for. If you don't yet know Madeira start with something basic like Blandy's Duke of Clarence, if you don't like it, it will still help make excellent gravy (a basic bottle ought to be a kitchen staple). If you do like it run through the different styles to find how dry or sweet you prefer it, and when you have that sorted look for bottles that are a minimum of 15 years old. Madeira is everything I find most exciting about wine, from a purely intellectual point of view it has to be my favourite (which isn't quite the same as my favourite to drink - that would be top end claret, but I can't afford that anymore so it's a moot point) because there's so much to think about, so many aromas and flavours to unravel, and because there's really nothing else quite like it. It's my birthday next week which is as good a reason as any to bake a cake, and in turn an excellent excuse to spend another evening leafing through 'Classic German Baking', instead of writing Christmas cards (though I really can't put that off for much longer). I'm really inspired by this book (the sunken apple cake is so good I keep craving it) and determined to thoroughly explore it. 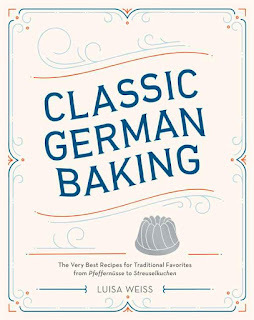 I said when I first posted about it that I'd been looking for a really appealing book on German baking (and cooking generally) for a couple of years, this one has ticked all the boxes for me (I should probably order Weiss' earlier book too). It's the perfect combination of reassuringly familiar flavours and new recipes. It is genuinely the most exciting baking book I've got my hands on in years. As for the cake - I had thought about making a sachertorte, but it looks like a bit more effort than I think I'm going to have time for, however, a spiced chocolate-cherry cake sounds like a great alternative. I had assumed that if there was a spirit involved in German baking it would be kirsch, but it's Rum that keeps cropping up. 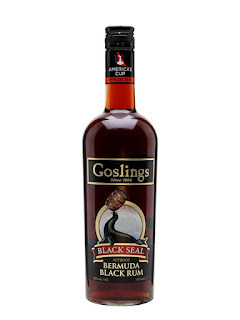 I'm not really a Rum drinker so it's not a spirit I've really given much thought to beyond noting that it's becoming more popular, with an ever increasing range available on the high street and in supermarkets. 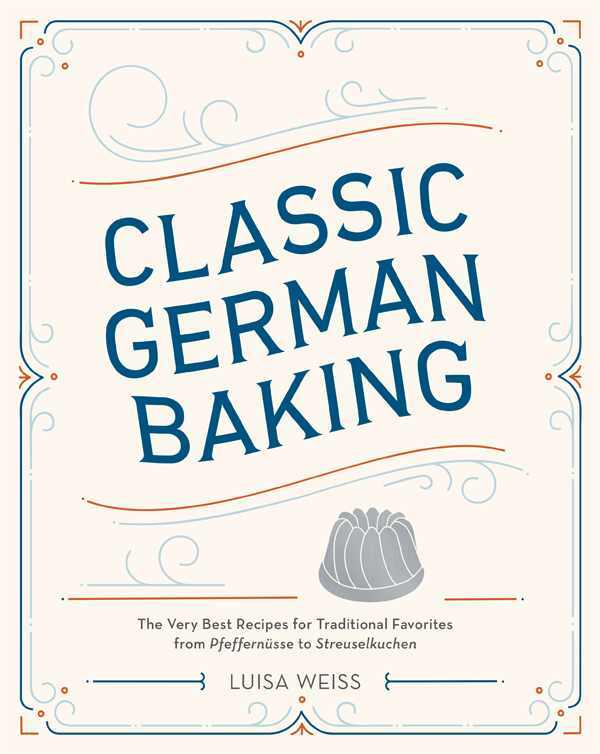 'Classic German Baking' is giving me a timely push to think about it a bit more. (I'm also wondering how and when Rum became such a popular ingredient in German baking - there's an interesting bit of history to trace). It's dark Rum that's called for here, I've gone for Gosling's Black Seal as it was the most interesting (the one reviews suggested was reasonable to sip neat as well as to mix) easily available Rum I found, and I see no point in having a bottle I wouldn't drink on it's own in the house, or in using something I wouldn't consider drinking for some sort of pleasure as an ingredient. It's quality over quantity every time. 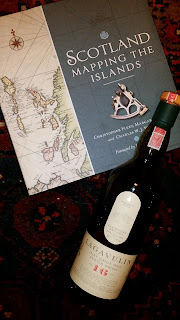 So, maybe not the first book you might think of to go with Rum, but if it's the book that's going to get me to engage with the stuff I'm not complaining. 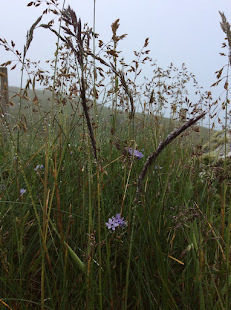 Not so much really happens, the glens are alive with impoverished lairds doing their level best to separate rich Americans from some of their hard earned dollars, and there's an unfortunate run in with some hikers. The joy of Compton Mackenzie is in the details, and in his affection for the people he's caricaturing. Hector Macdonald's might not be as common a type as they once were, but they're still around if you know where to look, and in an uncertain world there's something comfortingly nostalgic about this book. Mostly though, it's just brilliantly funny. I believe Hector Macdonald had some fine (possibly illicit) malt whisky, but the usual thing in the 1940's when this book was published, and earlier when it's set, would have been a blend, and as interesting things seem to be happening on that front it feels like a good time to enjoy both. Whisky terminology can get a bit involved, but basically you get single malt which means malt whisky (barley base, pot distilled) from a single distillery. Blended whisky is a mix of various single malts, and grain whisky, which doesn't have to be all barley, is made in a continuous still, a process that gives a spirit with a higher alcohol content and which is smoother and lighter than pot stilled spirit. It's also cheaper to produce. It basically to smooths out the rough edges and help marry everything together in a blend. 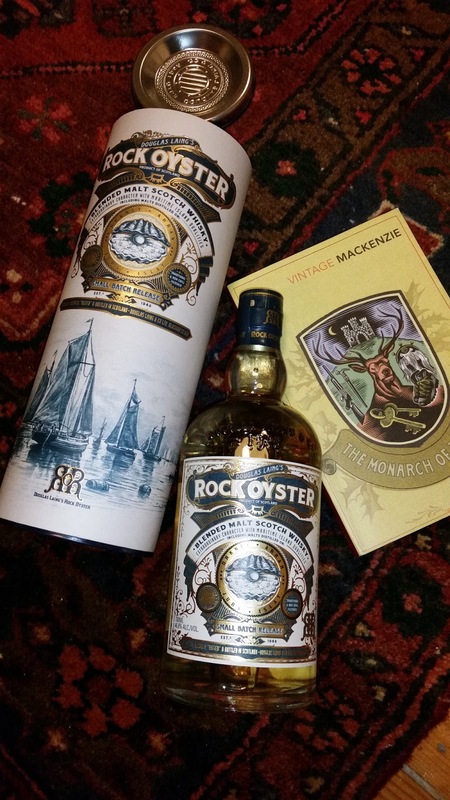 There is also vatted malt, which is a blend of single malts but no grain whisky- which is what Rock Oyster is. As the profile, and price, of single malt has grown, blends have been rather looked down upon, but for generations they represented quality and consistency which single malts, when available, didn't provide. Rock Oyster has who knows what in it (Jura and Arran for sure, possibly Scapa, maybe Bunnahabhain, maybe Old Pultney - part of the fun is trying to guess). 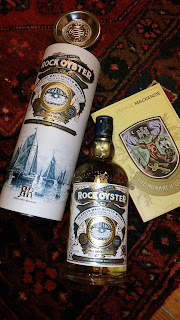 It's a salty sweet sort of a whisky, maritime is definitely the best way to describe it, and for my money the best in This range from Douglas Laing (though I would like both Timorous Beastie and Scallywag just for the glorious packaging, never mind the decent dram inside). That's the best in a pretty strong selection (I really like this whisky). 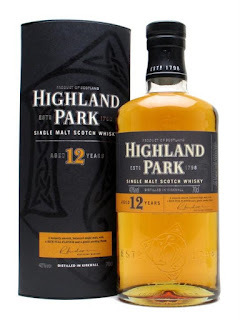 At around £40 this is a premium product, but it's worth it, and generally I'm finding malt blends to be more interesting than their single no age statement cousins (though that's a personal, rather than a quality, judgement) at the same kind of price. I always wonder if it's in questionable taste to recommend books by, and featuring, alcoholics (or very heavy drinkers) with yet more alcohol. But then I think if I avoided every writer who had had a drink problem I'd have to get rid of a lot of books I love and maybe it doesn't do to be overly worried about these things. 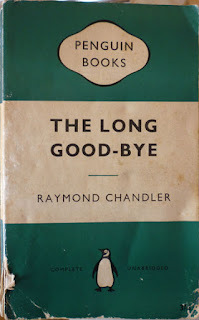 I love a bit of Raymond Chandler, and hard boiled noir generally, both on film and in book form, for it's stylishness, but also for the very real feeling that the world weary cynicism has come from a generation who had genuinely seen, and lost, to much. There's more than a whiff of ptsd about some of these characters. I have a copy of 'The Long Goodbye' but I haven't read it yet. If I didn't have it it would be right at the top of my wish list - you can't go wrong with a handful of modern classics under the Christmas tree either (annoyingly when talk turns to presents this year people keep telling me they're not going to buy me more books - which is fine, but they say it like someone can have to many books, which is obviously nonsense). Meanwhile the reason I've chosen this book with this drink is because Chandler (who I would more naturally associate with bourbon or other whisky) basically defines the gimlplet in this book. 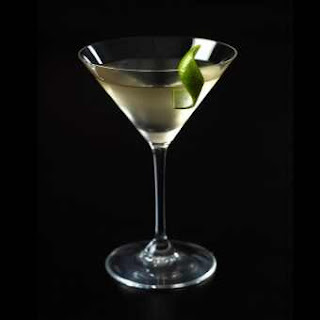 Before 'The Long Goodbye' a gimlet seems to have quite commonly have had soda water in it as well as gin and lime, since 'The Long Goodbye' it's accepted that the proper way to make one is half and half gin and rose's lime cordial (well chilled and in a martini glass). The Gin Foundry recommends Sipsmith's VJOP (very junipery over proof) as the gin to use. It's an excellent gin, but it's very strong, so I'd be more inclined to go for an old fashioned classic like Tanqueray, Beefeater, or Plymouth - especially Plymouth if you want to honour the naval connections the gimlet has. The other option would be to go for one of the new wave American gins. Whatever the choice I'm seeing this combination as perfect for Boxing Day. 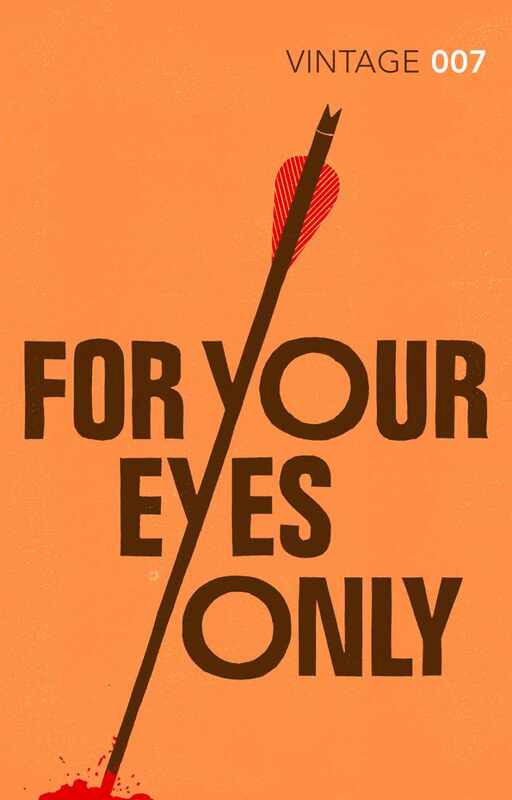 Evelyn Waugh is another writer who's more than a bit of a snob, though in his case it's one of the things I find interesting about him rather than off putting. 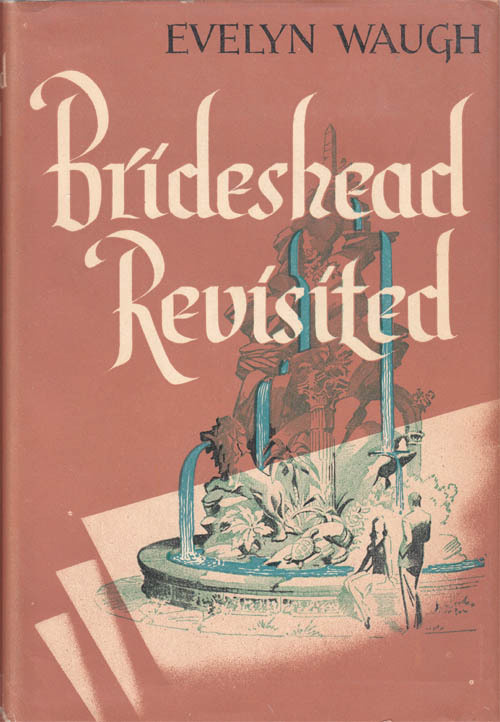 I loved 'Brideshead Revisited' when I first read it in my late teens and early twenties, but haven't revisited it for a long time. I might try and make it a New Years resolution. It was written during the war which is probably one reason why it's so full of food, and most interesting from my point of view, drink. There's a dinner about half way through where Charles Ryder is dining with Rex Mottram, who we are given to understand is not quite a gentleman which has particularly stuck with me. Rex is paying, but Charles has chosen the dinner. It finishes with a fine old pale cognac served in a tulip glass, it's stated as being a year or two older than Rex - so at a guess I'm thinking 30 years or so. Rex declaring he knows about brandy demands a balloon glass warmed on a spirit burner, disparages the original cognac, and ends up with something dark and syrupy. Whatever the reader knows about the respective merits of different cognacs the message is clear - Rex is an outsider who lacks class, Charles, the restaurant staff, and the rest of us are now judging him for not being able to recognise quality. I think it stuck because it feels like the distilled essence of Waugh to me, containing everything that I find both attractive and repellent about him. Brandy is the spirit you get when you distill wine and it can be made anywhere. Cognac and Armagnac are the most famous brandy producing regions in France, both are brandys but there are some key differences between them. Armagnac, which I believe is the first recorded distilled drink in France, is made in a sort of continuous still, Cognac is pot distilled. The way the two are regulated is slightly different too, and whilst Armagnac comes in vintages, generally speaking, cognac does not. The initial V.S, V.S.O.P, and X.O that appear on bottles stand for very special, very superior old pale, and extra old. With cheaper brandy the dark colour is more likely to come from caramel than from oak barrels. I'm not quite sure if Charles is drinking a particularly old V.S.O.P or what would have been the equivalent of an X.O, but either way we can be sure it was expensive. 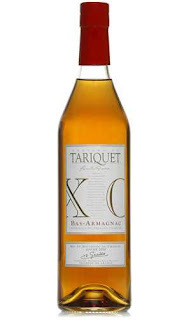 Again, very generally speaking, pot distilling gives more character to a spirit than continuous distilling, it's also a more expensive process which is one reason why the difference between an X.O Armagnac and an X.O cognac is upwards of £100 a bottle (though there are cheaper supermarket own label versions around). It's also worth noting that not everyone likes 'character' and that many prefer (for want of a better word) the smoothness of Armagnac against the 'bite' of cognac. 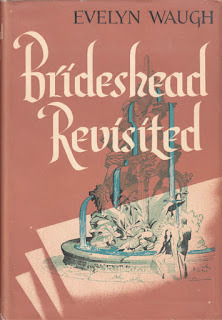 With budgetary considerations to the fore, my Brideshead recommendation would be an X.O. Armagnac (Waugh might not entirely have approved - though then again, he might - if it seemed exclusive enough), sipped, of course, from a tulip shaped glass. 'Snowdrift', the repackaged edition of Heyer's "Pistols For Two' with three rediscovered stories added has to be the perfect present for any Heyer fan, or at least any Heyer fan who has managed to hold of buying it for two months. To be fair that may be quite a few, if you already have 'Pistols For Two' buying shelling out for another copy might not be an immediate priority, unless like mine the old one was falling apart. 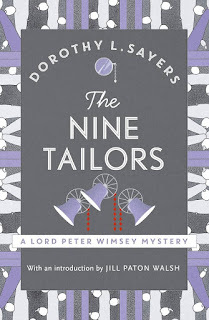 Anyway, if you do like Heyer you can't go wrong with this, especially if you're in need of some light hearted fluff which mixes old fashioned romance and humour. 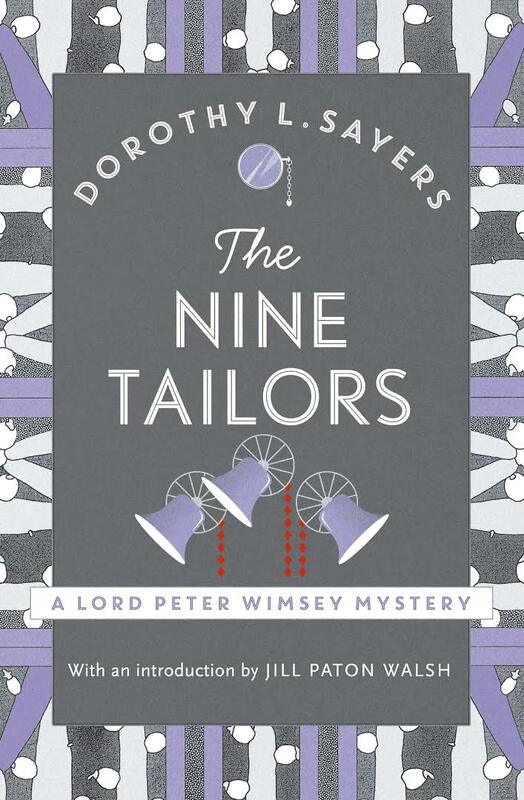 I'm often in need of Heyer's brand of escapism, I also find her attitude on drinks and drinking interesting. 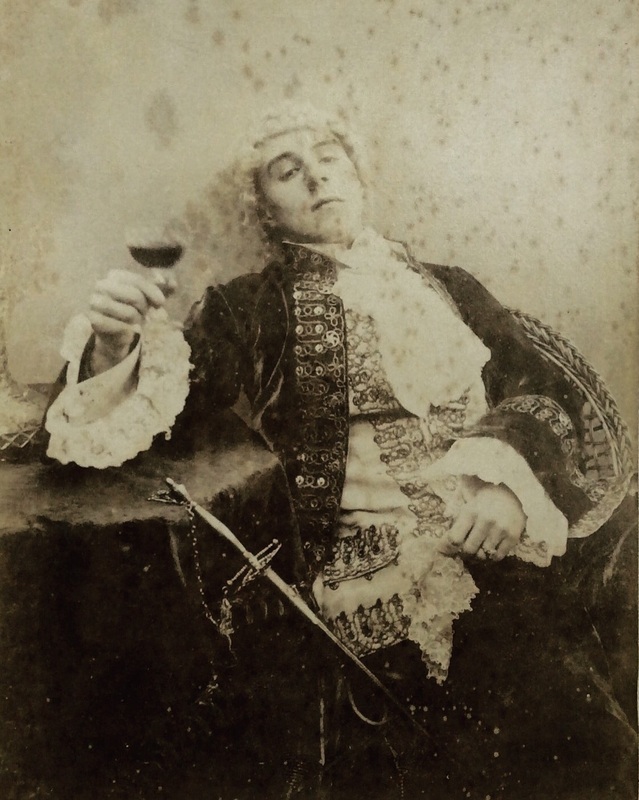 Gentleman drink a lot, they drink port, brandy, maybe a rum punch, claret, and burgundy, sometimes ale for breakfast, but despite drinking a lot they more or less handle it - being obviously drunk would not be gentlemanly. When women are disguised as men appearing to be able to drink like a man is a vital part of the masquerade, though generally they pull this of by discreetly disposing of the alcohol in question. Some of her more forceful heroines favour the masculine drinks listed above, the others drink ratafia or negus, which Heyer sometimes dismisses as a sickly sweet confections. The regency period undoubtedly had a hard drinking culture, and the details are right (lots of port, smuggled brandy, you can feel the effects of war with France) but I don't know if contemporary attitudes would have been quite as fastidious about actual drunkenness - I feel this might rather reflect Heyer's generation instead. The idea that a gentleman should know his limits certainly seems more Victorian than Georgian. Generally though, port doesn't keep especially well. It should be drunk within a couple of weeks of opening, so anything bought for cooking would be better off going into something like this than left to gently oxidise in a corner. 'Pride and Pudding' was another unexpectedly gorgeous book. One that I thought sounded interesting and which then went on to so utterly exceed expectations that I'm a bit evangelical about it. Regula Ysewijn (Missfoodwise on Instagram, her pictures are a treat) is a Belgian food historian and photographer (artist is probably a better description) who has written this fantastic book about the history of puddings in Britain. She's also just written a book about Belgian cafe culture which I hopefully put on my Christmas wish list, but nobody seems to have taken the hint yet (please, somebody, anybody, take the hint). The history of the puddings themselves is fascinating, especially if food history is your thing (it is mine). The recipes come in original and updated forms, and there's all sorts of interesting things in here. Some probably best just read about, quite a lot on a list of things to make at some point. What really makes this book though is the illustrations. Both Ysewijn's photographs which are inspired by Dutch and Flemish still lives from the Renaissance onwards, and her husband, Bruno Vergauwen's exquisite illustrations. They're hard to describe in a way that does them justice - all I can say is go and have a look at the book. It's altogether a magical object. 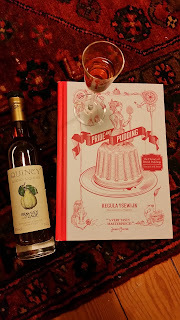 The part of my imagination that's fascinated by antique recipes is the same part that can't resist an unusual sounding liqueur, especially if it has a hint of the romantic about it. It's not an impulse that's always served me well, notable failures have included an expensive holly eau de vie that everybody who tried it loathed, a creme de coquelicot (poppy) which tasted like cough medicine, was a lurid red, and eventually went down the sink, and a homemade rhubarb affair which tasted like nothing so much as cabbage. Bramley and Gage's Quincy, quince liqueur, is a happy exception to my general run of bad luck in that direction. It tastes like baked quinces smell and is as mellow and golden as you could hope for. It is infinitely nicer than the quince brandy I tried making last year. 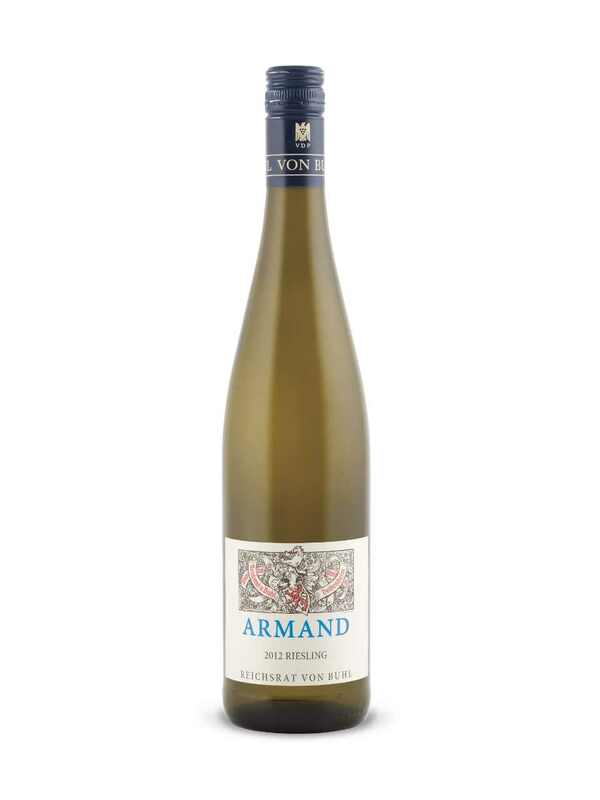 It's around £15 for a half bottle and would work particularly nicely with an apple pie or a cheeseboard. Buying it, rather than trying to make it, is likely to save a lot of trouble (and possibly disappointment - at least until I find a fail safe recipe) it's going to cost about the same as well, and as its both a little unusual and enjoyable to drink it's worth seeking out. I guess quinces are making something of a comeback in that it's possible to buy them on farmers markets, in specialist grocers, and in Waitrose - which is all to the good. 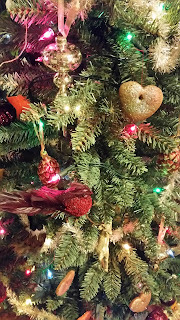 The trees are beautiful, and there are a lot more recipes around for them each year (again my experience with them is mixed - great jelly, never quite been happy with anything else), and they have history which brings me back to the hint of romance. The obvious drink to go with this book is whisky, and obviously it should be an island whisky. There are some great ones to choose from which cover a range of styles but I'm opting for Lagavulin 16 year old in all its peaty splendour. When I started out in the wine trade whisky, specifically single malt whisky, was very much the spirit of the moment and I fell in love with it. It was the late 1990's and the ideal time to discover it. Single malt as a category was effectively invented by Glenfiddich in the '70's, before then it had been a really niche market with blends still pre-eminent. When I got started interesting whisky's were easy to find at what felt like reasonable prices (God bless those pre mortgage days) and there was plenty of interesting stuff to be found (a more sensible woman would be sitting on a decent collection now). These days the market feels distinctly over heated, the distillery bottlings have doubled in price over the last decade, and special editions, which often come in huge runs, routinely have 3 figure price tags. It takes a lot of the fun out of it if what you buy feels to expensive to drink. Meanwhile the traditional bottlings with an age statement on them are increasingly being replaced by those without (no age statement or nas's). The marketing line is that it frees the master distiller to do more interesting things and whilst this may be true, it also means you can sell much younger whisky and get a quicker return on the sizeable investment involved. Lagavulin 16 year old currently retails at around £50 which is the upper end of my budget but I really love a peaty malt so once in a while I'll get a bottle. When I was learning my way round whisky they were defined geographically (highland, island, speyside, lowland, Campbeltown) which wasn't actually very helpful as island and highland can mean all sorts of things, Campbeltown only has 2 working distilleries left, and there aren't actually that many lowland malts around either. Currently it seems more popular to use a flavour map of some sort and categorise by style, which makes more sense, but debates with customers suggest that those classifications can be just as problematic and open to interpretation as the previous system. Which ever way you look at it though Lagavulin, from the southern end of Islay, is peaty. It's a challenging aroma and flavour for some (think of tcp, smoke, and maybe a touch of seaweed). Peat smoke is part of the smell of a Shetland childhood so I was always predisposed to like it, it's also another reason I think the whisky goes so well with this book. If it's a style of malt you're unfamiliar with I suggest finding a bar that sells it, or a miniature to try, before committing to a full bottle. 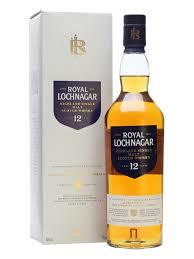 Underneath that peat smoke there's a rich, malty, sweetness that chases out the cold of a winters day. The whole package is essentially the Scottish islands (in all their rugged glory) in a bottle. 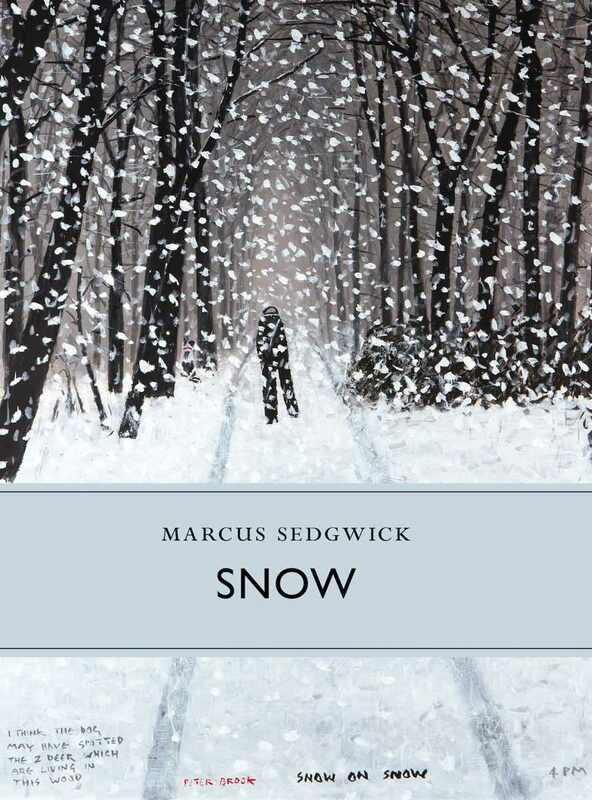 'Crimson Snow' (splendid title) is this years Christmas collection from the British Library crime classics series. How I love these books. Martin Edwards has done a great job on finding stories with a suitably Christmassy/wintery setting and which range from the gently numerous to surprisingly chilling. If I wasn't basically up to date with the entire series, these books, and especially the short story collections, would be precisely what I want to find in a stocking or under the tree. 'Crimson Snow' has some absolute belters in it - 'Death in December' features a castle in Derbyshire, ghostly goings on, a house party of riotous young things, a Death Room, and everyone getting snowed in with a murderer. It was a particular highlight. S. C. Roberts 'Christmas Eve' Sherlock Holmes skit is great fun too, as is Michael Gilbert's 'Deep and Crisp and Even'. Ianthe Jerrold's 'Off the Tiles' is rather more disturbing - there's a genuine sense that someone has died and that it's a tragedy (no bad thing to remember). Josaphine Bell's 'The Carol Singers' does that to, but at more length, and also reminds us how vulnerable the elderly and lonely are at this time of year. It's that balance between cosy escapism along with glimpses of something distinctly un-cosy that make this such a strong collection. It's a must for any lovers of vintage crime out there. 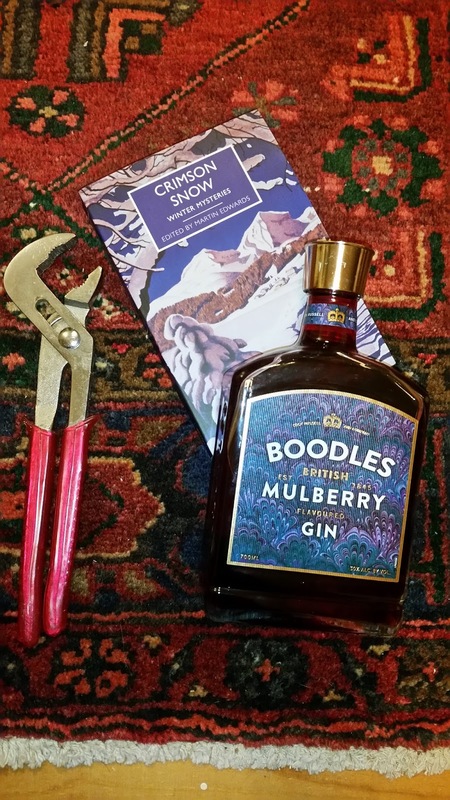 Meanwhile, Boodles Mulberry gin is a new acquisition. M&S have lots of gin on offer this week, and this one proved irrisistable - they're generally worth a look for interesting liqueurs, spirits, and bitters. They have an imaginative range for the high street, and whilst not all of it appeals to me, there's generally something really interesting to be found. In line with the general gin explosion, flavoured gins are obviously becoming a much bigger thing, with mulberry suddenly appearing all over the place (also rhubarb, raspberry, elderflower, damson, sloe, and so on). In the past I've made my own (damson) but it's increasingly tempting to buy a range rather than committing to quite a lot of one flavour. More gins on the market has also meant more suggestions as to how you might want to drink it, and for mulberry/sloe/damson gin there are all sorts of mulling recipes around. The general idea seems to be to gently heat it with apple juice, a cinnamon stick, a couple of cloves, and maybe some cardamom (I might throw in some slices of orange or clementine as well). I meant to try doing this tonight but got sidetracked by making gingerbread for the Christmas tree. Maybe tomorrow. I think more warm punches in the world are an excellent idea, and the apple juice versions which are going to be easy to make in smallish quantities, and could be made with relativley little alcohol, seem like a great idea all round. It's exactly the sort of cosy with a bit of a kick drink to settle down with to read 'Crimson Snow' (or last years 'Silent Nights') with. It's December which means that I've already had a solid month of full on Christmas, complete with migraine inducing flashing lights, at work. What I'd really like to do right now is retire to some relativley peaceful spot where I could bake and read until it's all over. By some cruel twist of fate that's not an option, so instead I'm going to mark the days off on my advent calendar and focus on great books and matching drinks and hope for the best. When I have more time to do 'Snow' justice I'll write about it again, it's the second of the Little Toller monographs I've read 'Mermaids' was the first) and its confirmed my impression that I really want the whole series. They're beautifully produced, elegant, little books that fit perfectly into a pocket and odd moments for reading (the chapters in this one neatly filled my bus journey to and from work - perfect). They're exactly the sort of book I like to give and receive, both because short as they are they pack a lot in, and they're so perfectly desirable as objects. 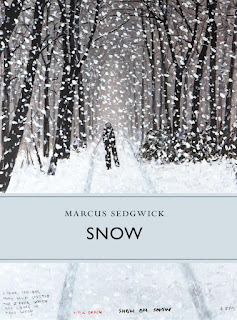 In 'Snow', Sedgwick covers a little bit of science, etymology, art, mythology, and history. 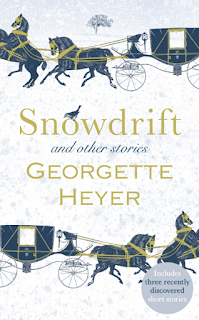 He shares a few stories, and considers the transformative effects of snow, all in a way that sends the reader off on their own journey through memory and association, gently signposting some possible directions of thought along the way. 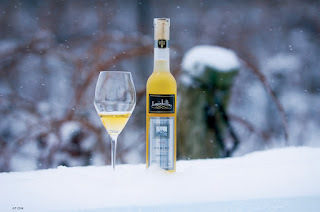 The obvious wine to go with a book like this has a magic and romance of its own - Ice Wine, or Eiswein can only be made under very specific conditions. The grapes, often Riesling (which is suitably disease resistant) are left on the vine to continue ripening deep into winter, until a frost of at least -8 comes along, and they're frozen on the vine. At this point they have to be quickly picked by hand as the grapes need to be 'clean' (no noble rot desired) and then they're pressed, still frozen. The result is a small amount of very concentrated juice which creates an intense, sweet, wine. Because making it is both risky (if the frosts don't come in time and the grapes rot, there's no wine) and labour intensive, Ice Wine ranges from comparitivley, to eye wateringly, expensive. It's also very sweet - though well balanced with a zingy acidity that makes it taste incredibly fresh, and for want of a better word, pure. There's a lot of prejudice against sweet wine which I do my bit to fight against. There will be people who don't like them under any circumstances, but for most of us its just a question of how we think about it. For me that means treating the wine as the main event rather than as an accompniement to a dessert (though if you like a salty blue cheese, these wines love them, and it's an incredible match). A modest glass of something as exquisite as an Ice Wine is a great alternative to a pudding, and as it deserves a bit of leisurely appreciation enjoying it with a book seems entirely sensible too.